Beating hard on your gypsy heart, the Brittney earrings invoke a sense of free-spiritedness. A bronzed metal cast hoop inspired by Moroccan architecture and dripping in a graduating curtain of chain, rhinestone spacer beads, and varying turquoise stones. For maxed-out Bohemian glamour. 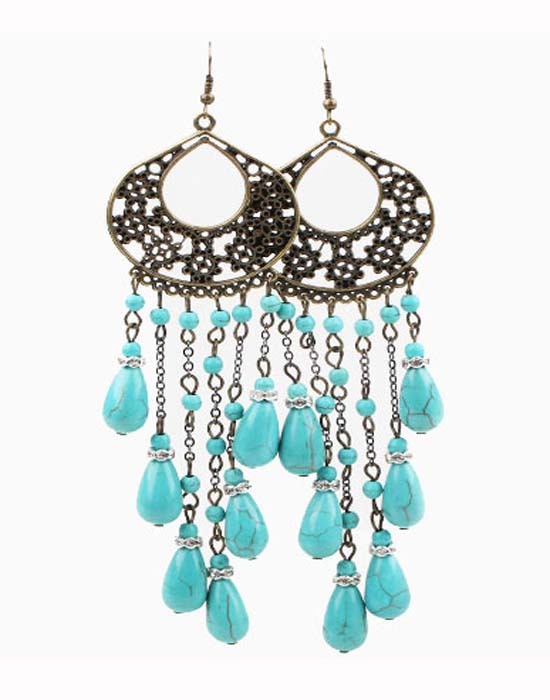 Purchase a pair of our turquoise earrings and other jewellery to qualify for a free bonus bling gift.